You’re not the only one with a fresh look this back-to-school season. If you haven’t peeped Scholly Editor lately you’ll definitely want to. 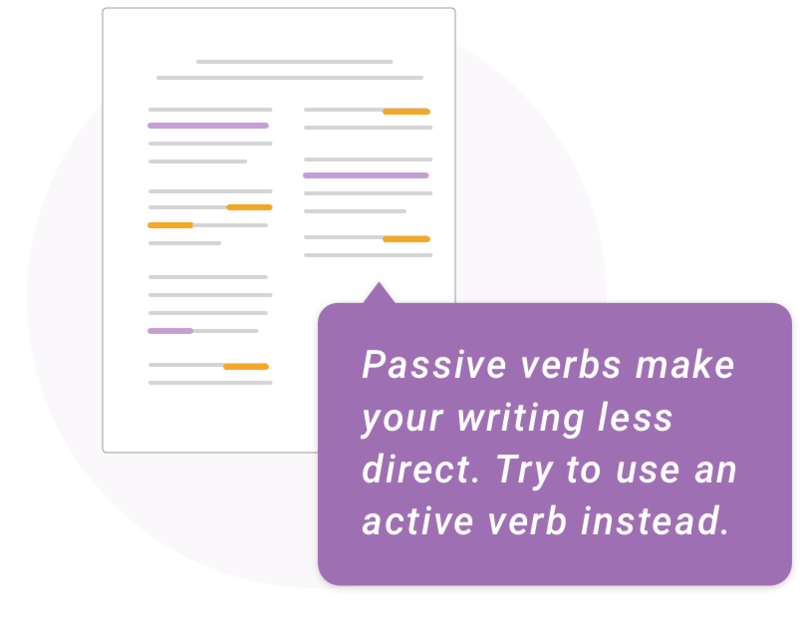 We’ve redesigned our online proofreader to make editing your writing style and grammar even easier. Whether you’re working on a scholarship essay, polishing a homework assignment, or double-checking an important email, Editor is for you. If you write anything, you should run it through Scholly Editor for the final touches. You can either type directly in Editor or upload/copy and paste your writing to get started. After your document is in Editor, you’ll see suggestions on how to improve your writing in the left-hand corner. They will be organized into two categories: grammar and style. Grammar suggestions will be in yellow and highlight errors like spelling and punctuation mistakes. Style edits will be in purple focus on sentence construction and flow. Work through these corrections as you see fit. The goal is to take your writing to the next level without losing your authenticity. Sweet success! Your work is polished. Download your revised document and continue on your path to success. Sound like something you could use? 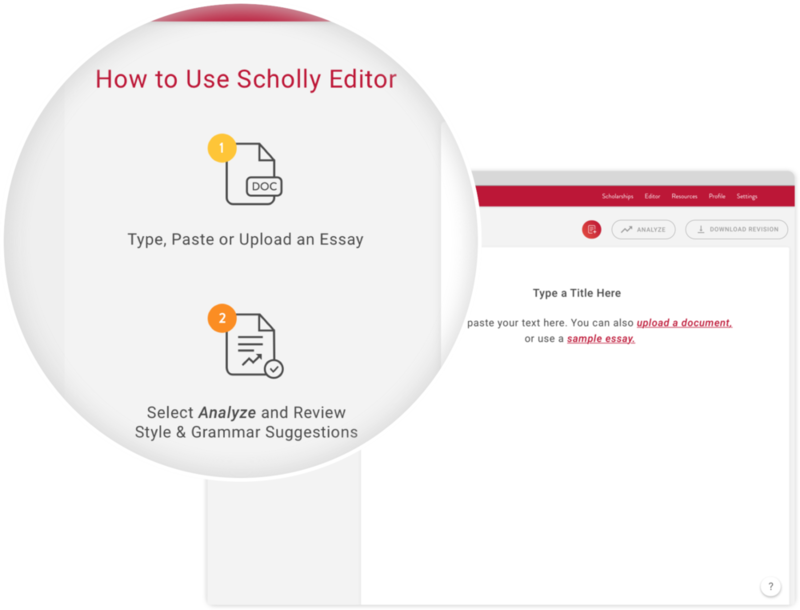 Of course, it is – Scholly Editor is for everyone. Get started on your first assignment and ease your way to an A with Editor.